This small Stützpunkt covered the narrow passage between the beach and the lake called Kviljobukta. Main armament was the 5cm KwK inside a Regelbau 667. Just recently the gun has been transferred to a museum to preserve it better. 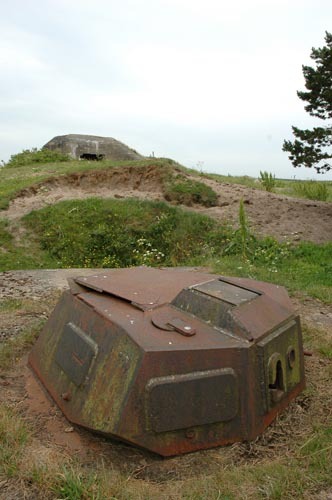 A small trenchsystem with two Tobruks and a shelter cover the back of the Stp. The 'Flammpanzer' Flamingo turret with the 667 in the background.